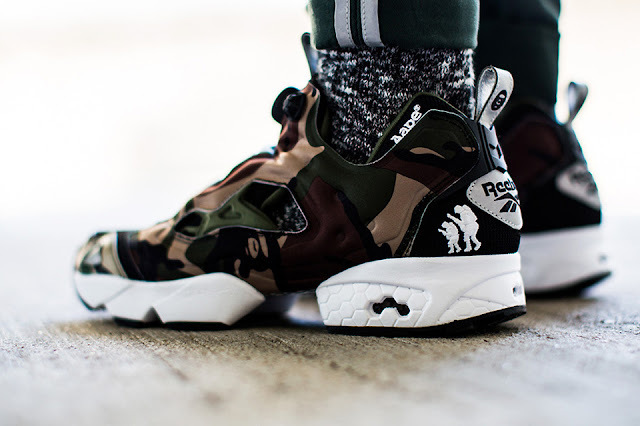 AAPE by A Bathing Ape adds even more cool to the Reebok Pump Fury with the debut of their camo-led design. 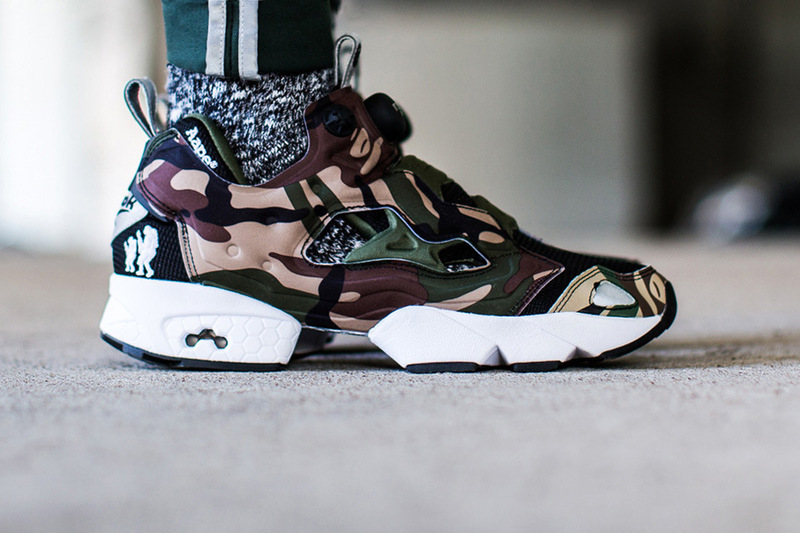 Smothering the sneaker in green and brown print, there's also the BAPE Moonman men to be found on the tongue and Footsoldiers on the heel. 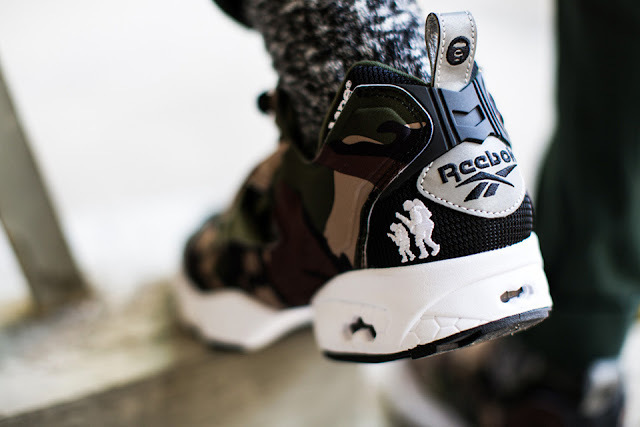 Available from Reebok from 24 August.